Like the newest bog creatures! 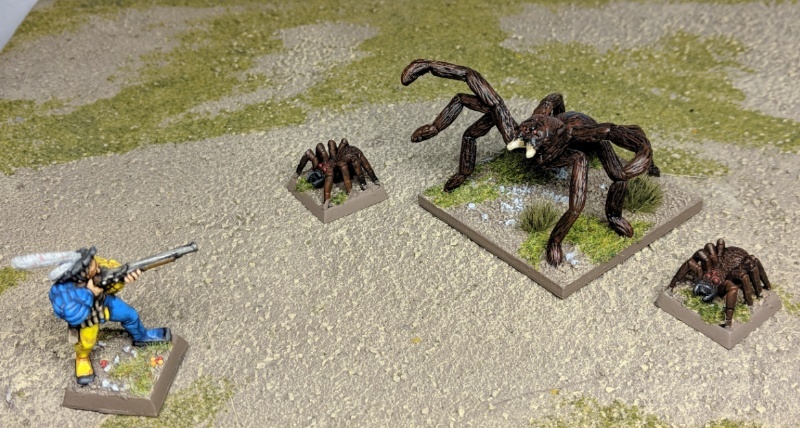 I vaguely recall the Grenadier Giant spider from my younger years. Eeek! No spiders for me, even the least spidery 1980s model sets off my phobia. Totally okay with scorpions though, how does that work? Looking brilliant! I never minded spiders. I liked having them around. As long as they stay out of my way, I'm the same. Figure they eat all the bugs I'd rather not deal with. Like a cat who keeps the mice at bay. But smaller. With more legs. And eyes. February has been a busy month so I've not had much time for updating or even keeping up with other people's posts & blogs. (Though I don't comment much, I read/follow a lot!) Kind of a stressful month, too. I hope I can paint a lot (and maybe some gaming...?) in March. Painting is my stress reliever -- I can use some more of it lately. I'll have some more fantasy stuff to post soon. I just submitted my monthly entry to the Old World Army Challenge and will share that after it's up on the OWAC blog. That is a very good looking conversion, and love the painting on it as well, congrats! Your work on the bell & clapper is phenomenal. It's so on fire! 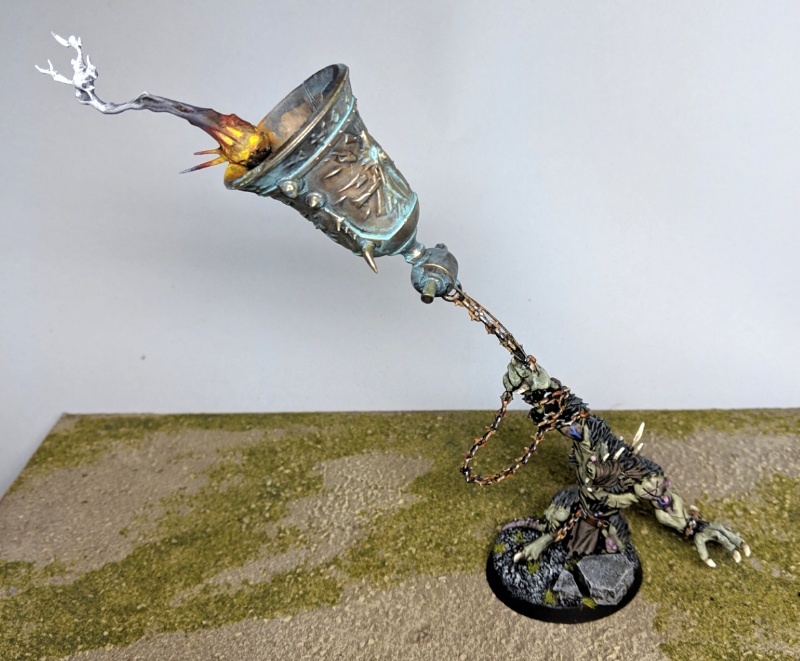 Thanks, the bell served as a power hammer in Kill Team. S10, AP-3, and multiple wounds of some sort. Seemed appropriate. 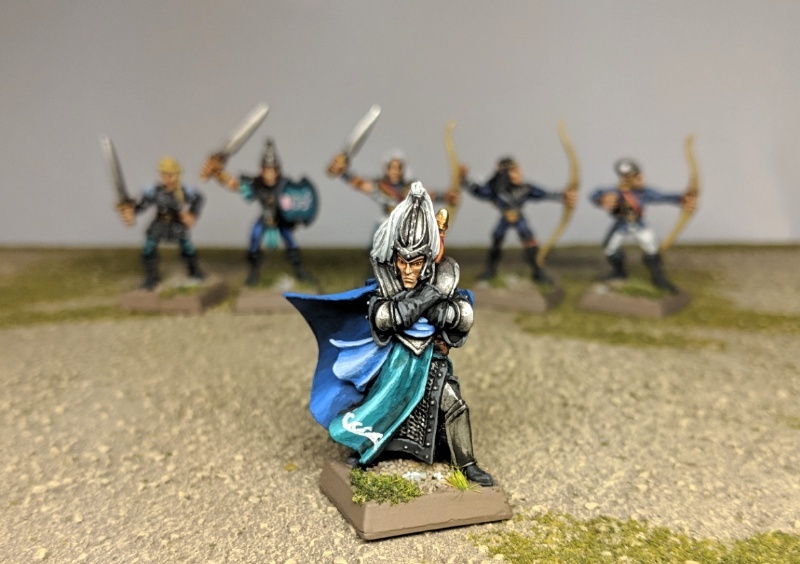 My February entry in the Old World Army Challenge! I like the elves, and their leader, really like how he is painted, excellent. Thank you. I like that he seems like an understated but powerful image of a leader. More recently: Trolls! I'm too lazy for even too much cutting and pasting. See the blog: https://www.zerotwentythree.com/2019/03/new-trolls-old-trolls.html for more info & pics. 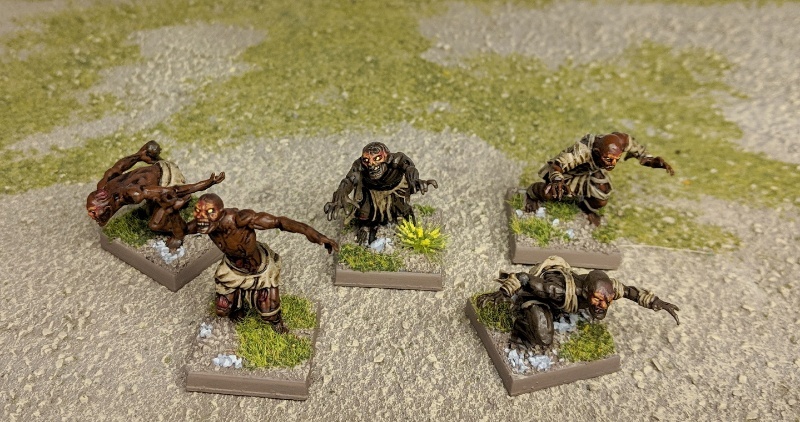 I’m a big fan of those Marauder Miniatures Trolls and you’ve done a great job painting them. My favourite bunch of Trolls! Trolls look rad! Well done! Thanks! I really enjoyed painting those trolls, and I'm pleased to have the full set again! 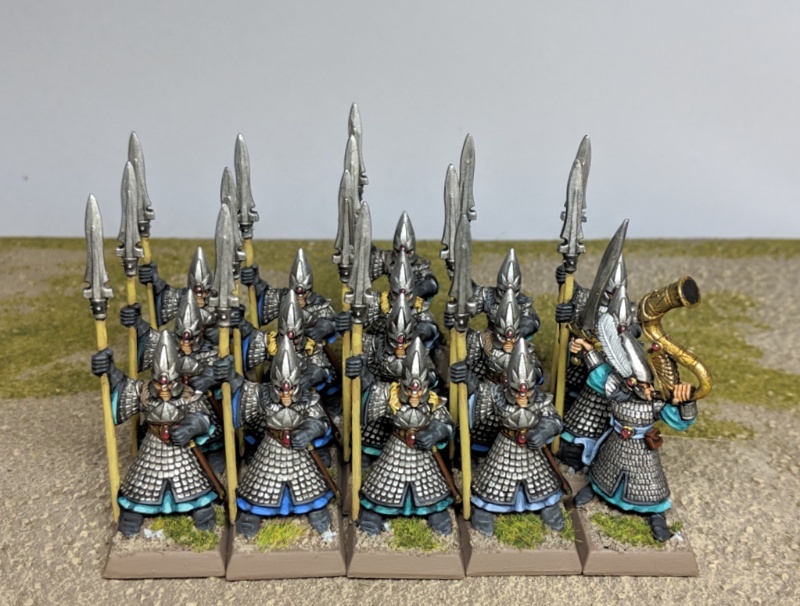 16 spear elves for my OWAC sea elf force done for March. Had planned on doing shields, but need to acquire them first. That is turning out to be trickier than I had planned. More words and another photo at my OWAC entry. For my own personal, annual Big April challenge, the only commitment I'm making is to finish the giant I left off with last April. For the rest of the month, I'm leaving it up in the air -- though still giant related. These are the ancient oneposer plastics? You've done them really well! Having the different colors reminds me of how 023 painted his Marienburg army. And it is a wonderful looking group there, congrats!